Former WWE Divas Champion and SmackDown General Manager Paige continues to make the media rounds in order to promote a feature film based on the life of the Knight family including Saraya Knight aka Paige that is titled “Fighting With My Family.” The film is slated to be in theaters around the country on February 22. 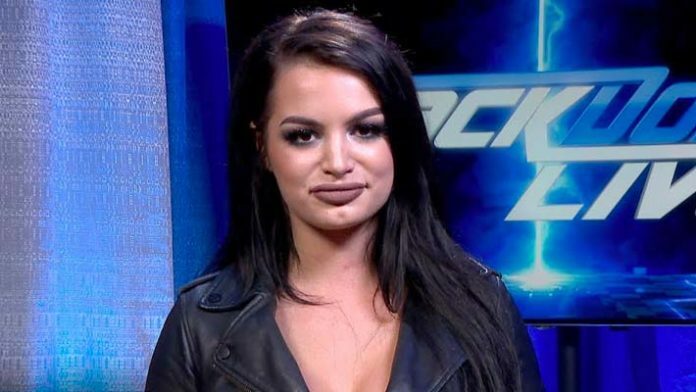 While conducting an interview with App.com, Paige spoke about a wide range of topics including the advice that she received from Dwayne “The Rock” Johnson, who produced this film through his Seven Bucks Productions company. Although WWE has made some changes to the match in the storyline, the reported plans for the WrestleMania 35 main event on Sunday, April 7, 2019 in East Rutherford, NJ at MetLife Stadium will see the first time that female talent headline the show. Ronda Rousey defending the WWE RAW Women’s Champion against Becky Lynch and Charlotte Flair in a Triple Threat Match is expected to main event. When asked about the possibility of women headlining the show, Paige is in awe.